3) After I have written to you and to your organisation, the only answer I have got was by GM Vescovi whose computer programme could not deal with odt. format. Not only you but none of the ACP board members even confirmed that they have got my mail. If there is one party who had to follow the communications by good manners it is you and your organisation. 4) I am interested and aware of all the development in chess world however your inclusion or seclusion from Italian chess should not be called a development. 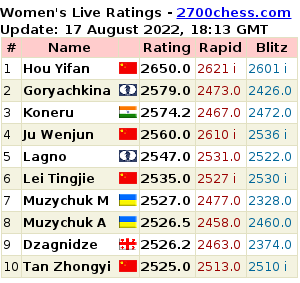 Most of the people do not know your name and your function in the chess world. 5) I have read your letter in detail, in this one you have revealed the most important trait of your organisation in deed ACP has no enforcing powers. By this letter I resign from your organisation, and I have to warn you that since I am the chess player, I obviously have the the mindset of thinking first before acting and I doubt if you have since you are not one. 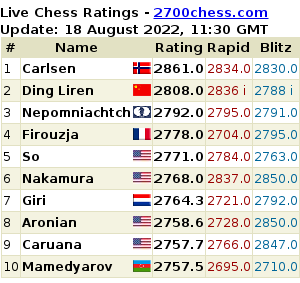 Unfortunately recently the remarkable development in the chess world is the abundance of non-chess playing officials and I do not want to be represented by one more of them.